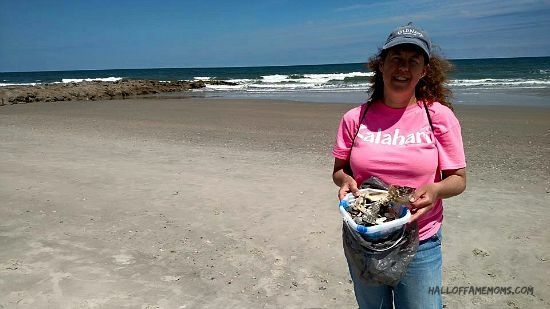 Today is the last scheduled post sharing about our Myrtle Beach trip from back in May. 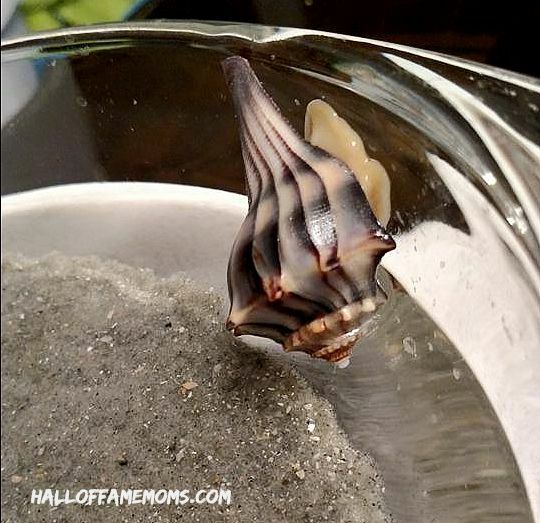 I love sharing some ideas for saving money on vacation as well reviews of local attractions we visited like the Hollywood Wax Museum and Entertainment Center and Wonder Works. Our 13th wedding-anniversary was that week too! A major highlight of our trip for me was finding all the amazing animals (aka critters) that we did! 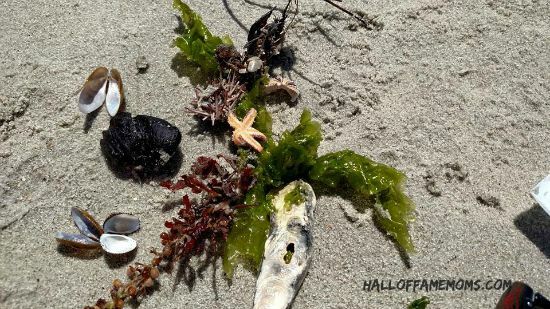 These were not animals in a zoo or aquarium; these were wild animals that we crossed paths with at the beach or on the road like this mean turtle! Now, in the turtle’s defense I must say that it was in the road. I’m not sure if it had just begun to cross or was almost done crossing. We passed over, thankfully not running over it! One of the cars behind us, a really low riding car, did scrape him as she passed over him. We turned the car around to see if we could help him get across safely and that car stopped also. The turtle snapped at whoever got too close so we were not going to pick him up. 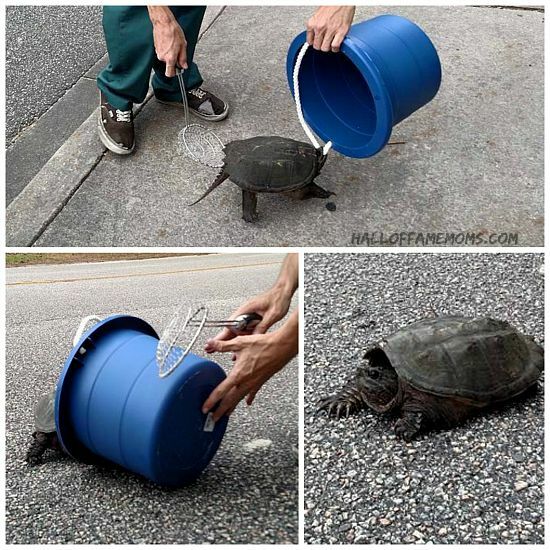 A third driver, a young man, also pulled over and with our bucket and kitchen a utensil (I used for shelling on the beach) he was able to get the turtle in the bucket and transfer him to a pond on the other side of the road! The last tip I want to share will surely come in handy for someone. I know car problems are not uncommon on long distance trips. While we didn’t have any major van issues we did lose our air conditioning. (Ad) How much is your totaled car worth? In reality, we lost our a/c in the van years ago and the estimate I was given was too pricey for the age of our Toyota Sienna so I just assumed we’d likely take this Myrtle Beach vacation with no a/c. Our 2002 van lost it’s air-conditioning years ago and the estimate for repair was over $600. That was just too much money so we passed and have suffered through the summers without a/c. I just assumed we’d make the trip without it. Thankfully, we did not have to! We needed to make sure the van was ready for a 12 hour ride to Myrtle Beach. I had the van looked at at a “name brand” place in the Belden Village area (big shopping area near us) and was not happy to learn the labor charge was about $1oo/hr! Long story short after I asked my Facebook friends (I love FB for this reason!) for recommendations I found Adam who owns ABC Auto Repair came HIGHLY recommended. After talking to him I found out his labor charge was considerably less which was much more in the ballpark of what I thought was acceptable. I also learned not to take my car for work in the Belden Village area unless I want to expect higher labor charges. We gave all our repair needs to Adam and his guys this summer and along with that they were able, with much work, to figure out how to fix our a/c system in the van – but, I’m getting ahead of myself here. So, the a/c worked for about a few days and then seemed to run of freon in the middle of our week in Myrtle Beach. I called Adam and he hooked us up with a garage near us in the Myrtle Beach area, Honest Auto Service. Honest Auto Service looked under the hood and showed us what they thought was going on and what to expect. I don’t remember his name, but he said he wasn’t sure the freon would hold till we got to Ohio so he did not charge us for it! I was expecting a high cost around $90, but, they gave it to us for free! The freon lasted the rest of our week in Myrtle Beach and into the following week back in Ohio, just in time to drop off the van at Adam’s garage. Adam and his guys have it fixed now; and, we have not lost our a/c since (t’s been almost two months)! Adam even gave us a discount on labor since we had to bring it back in for further work. They fixed what they could find wrong the first time they had the van, but the dye they put in the line never came through the system. By the time we needed another garage (Honest Auto Service) the dye had blasted through the system and the problem was further exposed. I think we ended up needing a fan, condensor, o-rings (the first repair) and I’m not sure what else. If you need a mechanic in Canton, Ohio I highly recommend Adam’s garage, ABC Auto Repair and Exhaust. 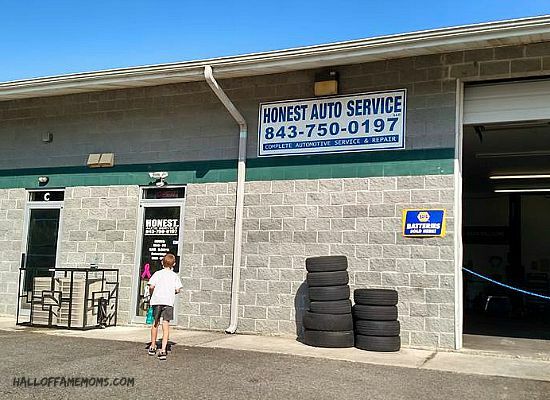 If you need a mechanic in the Myrtle Beach area I highly recommend Honest Auto Service. It wouldn’t be a bad idea just to have those numbers handy when you’re in the area – just in case.